Aspiring cartoonists of all ages can begin drawing a repertoire of characters from the moment they follow the wide-ranging yet simplified lessons that fill these instructive pages, written and illustrated by an all-time best-selling artist/teacher. This complete course, covering both comic strip and animation techniques, begins with lessons on basic cartoon body shapes and facial features. Included are helpful comparisons between the real versus the cartoon head, a smile chart, and various ways to draw the most popular and expressive cartoon eyes and mouths. Next come lots of typical body poses, how to draw action lines, slow/fast movement, cartoon hands, fun hair and clothing styles, backgrounds, and cute cartoon pets. 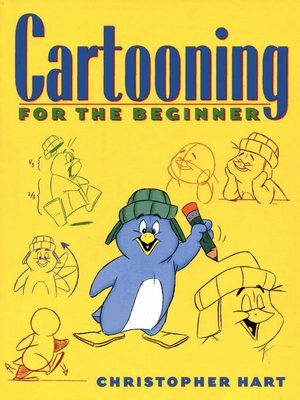 Excellent directions also focus on helping beginners to find and develop their own cartoon style.